Mass retirement of Senior and most experienced staff. High rise Fire Management, Fire Officer Development, Technical Rescue, Terrorist Response, NIMS I100-I800, Health and Safety, Workplace Safety Issues, Time Management, Incident Safety Officer, Rebuilding Your Fire Department, WMD Response: Operations. Greatness is never measured by a single act... It is declared by commitment, selflessness & action. Continued prayers for the souls of the Dearly Departed...and for those of us who mourn their loss. 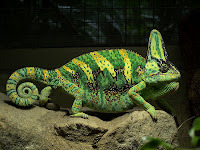 The Chameleon Fire Officer: Mentor, Menace or Medocre - Which One Are You? The Chameleon Officer: Mentor, Menace or Mediocre: Make up your mind! Click Here: These are not all of them. These are the five that came out of a great skull session. That will be joserafaelmarte@hotmail.com , i am her in USA, is it possible to visit your station? -Hi John. Great video clip. As an engine man it must make you feel great to have beaten the ladder guys so quickly. LOL. -Seems like the Tower company took a long time to get in to operation. By the time they make the roof cutting seems unnecessary as the fire is already knocked down. -Did any Truck Company members get in to perform the search?